Studies have shown the most common dental worry of American adults is whether their teeth look as white as they could, which probably explains the popularity of whitening strips that can now be found in most stores where folks shop. The problem with over-the-counter whitening strips, however, is that they don’t whiten as well or for as long as the professional whitening kits available from your Smithville dentists. For a much more dramatic cosmetic solution that also strengthens, corrects and aligns minor imperfections in your smile, we offer veneers—which last at least ten years on average. Now that’s something to smile about! Smile Design is a term that can also be called a “Smile Makeover”. Each patient’s Smile Design is different and maps out a customized course of treatment or treatments that can be made up of any combination of our dental services. We’d love to help you attain the smile of your dreams! Dr. Garrison and Dr. Klamer offer take-home teeth whitening kits so you can brighten your smile on your own time and at your convenience. Your Smithville dentists have access to stronger, safer whitening options than you can buy in a store. The transformation veneers can achieve seems just about impossible. Instead of multiple treatments like whitening, orthodontics and restorative treatments, a set of porcelain veneers can correct gapping, spacing, minor misalignment, and damaged tooth enamel in one treatment. 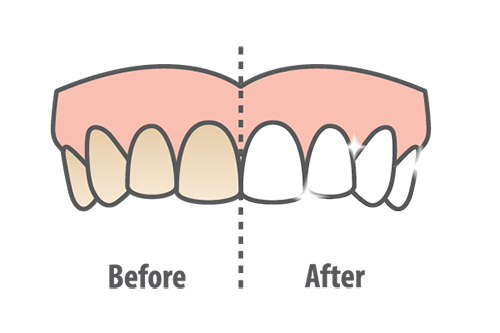 Empress brand veneers are made of Lucite-reinforced pressed glass ceramic material called IPS Empress® Esthetic. This is one of the premier dental materials on the market today, one that can also be used to craft other restorations such as inlays, onlays, and crowns. If you’re dissatisfied with your smile because your gums cover too much of your teeth, gum contouring may be a positive solution for you. Sometimes called gum reshaping, this procedure can even out your gumline and expose more of your pearly whites for a brighter, healthier, toothier-looking smile. If you have any questions about cosmetic dentistry or would like to request an appointment with your Smithville cosmetic dentists, fill out the form below to send us your contact information and we’ll get in touch with you to set up an appointment. Or, give us a call!